There are very few true beachfront homes that are steps out from your lanai onto a beautiful white sandy beach. Here are several rare finds located directly in front of a pristine white sand beach along the West Coast of the Big Island of Hawaii. This spectacular beachfront home is just a few steps from a bounty of calm swimming ponds called the children’s “Keiki” pond, and within walking distance to shopping, dining, parks, and recreational activities; this magnificent home is breathtaking. If you’ve been searching for the ultimate oceanfront home, look no further! Prime oceanfront location on a sandy beach, impeccable renovation with upscale finishes, high-tech systems, home theater, spectacular swimming pool, 24-hour guard-gated community, all in close proximity to restaurants and services. Your oceanfront dream has become reality. 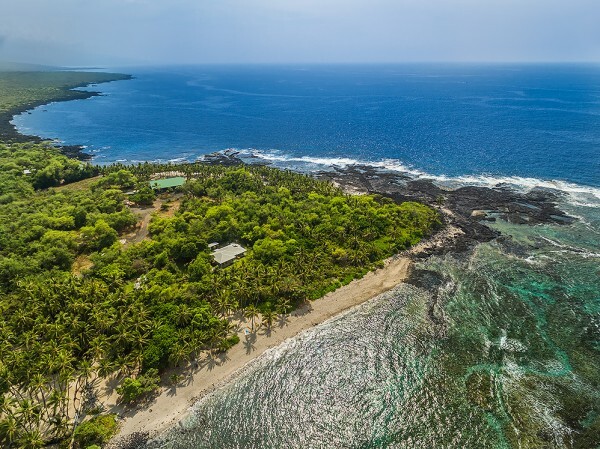 Paniau is one of the most spectacular oceanfront estates on the Kona-Kohala Coast. Situated on approx. 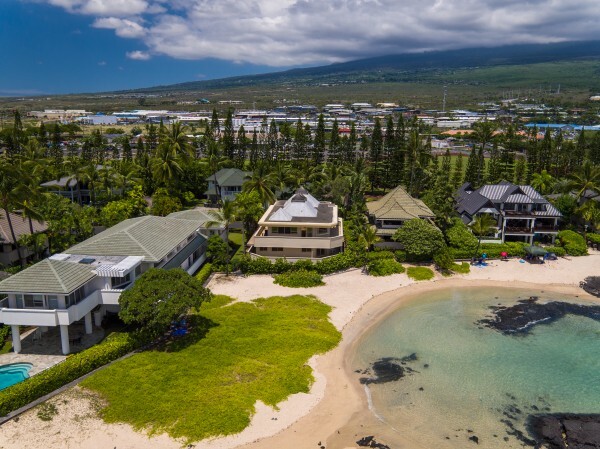 1.8 acres with 274 feet of direct ocean-frontage located adjacent to the Mauna Lani Resort, Paniau is within walking distance of the Fairmont Orchid Hotel. Great surfing, snorkeling, diving, and paddling are right outside your front door. 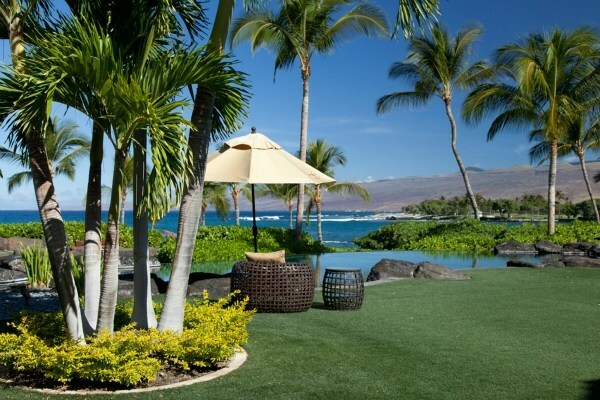 Premier white sand beachfront Kohala Coast resort residence. 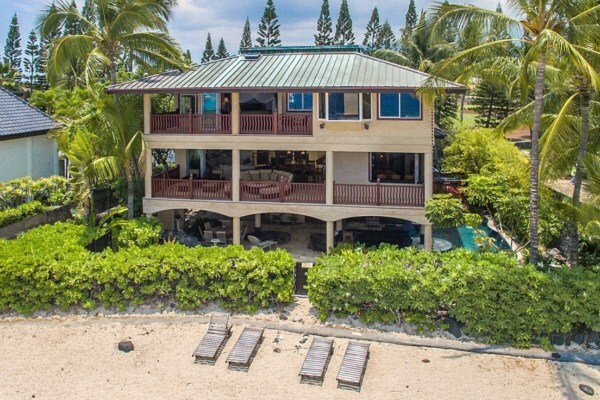 Few, if any, homes in Hawaii rival this luxury residence, located on the beach, within the gated enclave of Pauoa Beach at the Mauna Lani Resort. Over 7,100 sq.ft. of relaxed interior elegance, consisting of 5 bedrooms, 5.5 bathrooms, together with over 2,000 sq.ft. of covered lanai and garden trellises, providing over 9,000 sq.ft. of indoor/outdoor living at its absolute best. 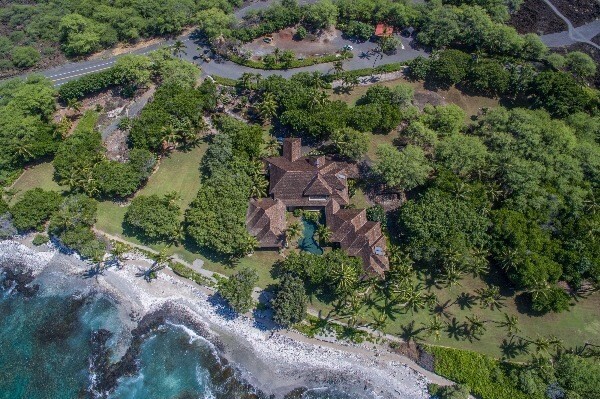 These beach houses on Keei Beach in Kealakekua Bay are situated in a truly magical place. Nestled on a grassy property of nearly an acre combined within view of a pristine sandy beach, these homes blend naturally into its wonderfully preserved setting. Located in a historic region of the island, the famed Captain Cook monument is in view across Kealakekua Bay from the lanai of this private escape. For more information about these properties or to schedule a tour, please contact Carrie Nicholson, R(B), BIC or IG follow: @carrie_hawaiilife.com.